This integration will allow you to connect with QuickBooks and start receiving data for your accounts, invoices, and customers. It is a matter of minutes to send your data to feed your BI, your data warehouse, or your custom analytics stack. 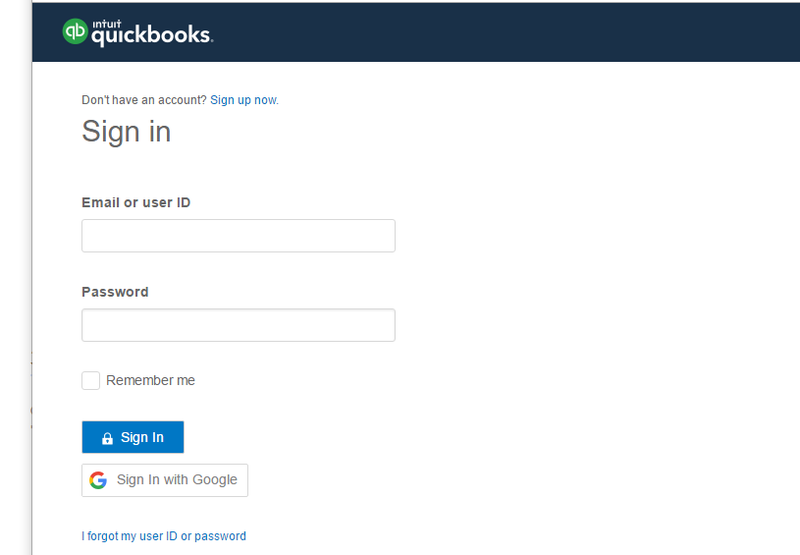 In the new window enter your credentials to connect to QuickBooks with oAuth. 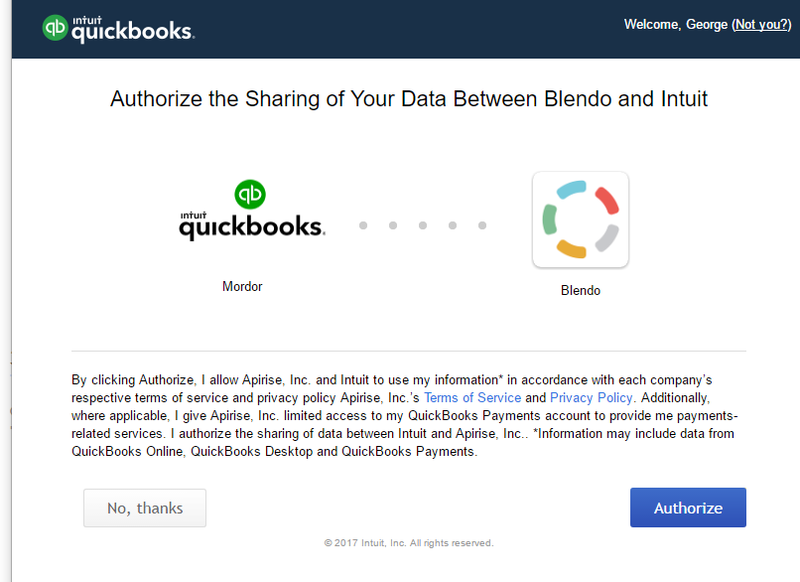 You will be prompted to authorize Blendo to connect with your QuickBooks account. Review the text and click Authorize. In the new window, check if everything looks as it should be and click Verify & Save. Blendo will start receiving data from your QuickBooks. When Blendo first connects to QuickBooks Data source, will pull all your historical data. Blendo syncs QuickBooks data based on the schedule and frequency you choose. The default setting is every 1 hour but is configurable from inside the app. The first time Blendo syncs your QuickBooks data performs a full replication. Then your QuickBooks data is replicated incrementally. Meaning that Blendo will replicate only new and updated rows to your destination data warehouse. What QuickBooks data do I have available? Bellow are some of the tables with QuickBooks data that we create in your target data warehouse. Columns of this table include: Name, CurrentBalance, AccountType, SubAccount. The table contains information about the Bill in QuickBooks. Columns of this table include: Balance, DueDate, TotalAmt, SalesTermRef.value. The table contains information about the Deposits in QuickBooks. Columns of this table include: CashBack.Amount, CurrencyRef.value, PrivateNote, TxnDate. This table contains information about Deposit Lines in QuickBooks. Columns of this table include: Amount, deposit_id, DepositLineDetail.AccountRef.name, LineNum, LinkedTxn.TxnLineId. This table contains information about Persons in QuickBooks. Columns of this table include: Balance, BillAddr.Id, CurrencyRef.value, Deposit, LinkedTxn.TxnId, ShipAddr.City, TxnDate. This table contains information about Items in QuickBooks. 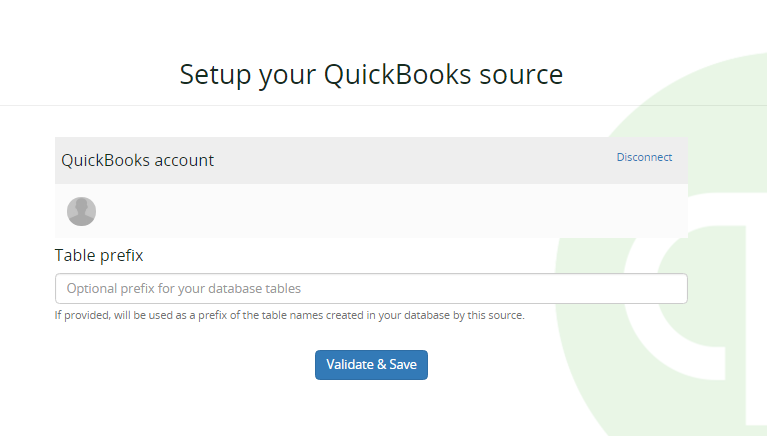 The table contains information about the Journal Entry in QuickBooks. Columns of this table include: Adjustment, MetaData.CreateTime, PrivateNote, TxnDate. The table contains information about Payments in QuickBooks. Columns of this table include: CustomerRef.name, MetaData.CreateTime, PaymentMethodRef.value, ProcessPayment, TxnDate.